It’s that time of the year again when the weather is bleak, and we’re getting tired of cooking. For those of you in need of a quick, tasty snack without the effort associated with the holiday season, look no further. 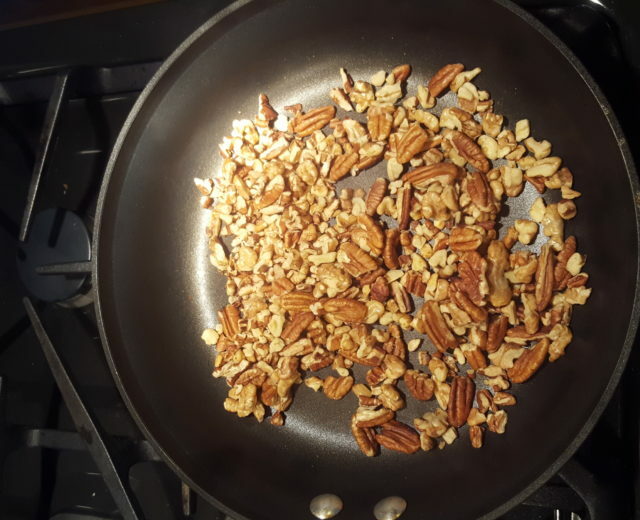 Spiced nuts are the perfect treat that can be cooked up in less than twenty minutes. So stay inside to avoid the cold, settling in for a warm drink by the fire place, and enjoy. There are various recipes and combinations of flavors you can try. 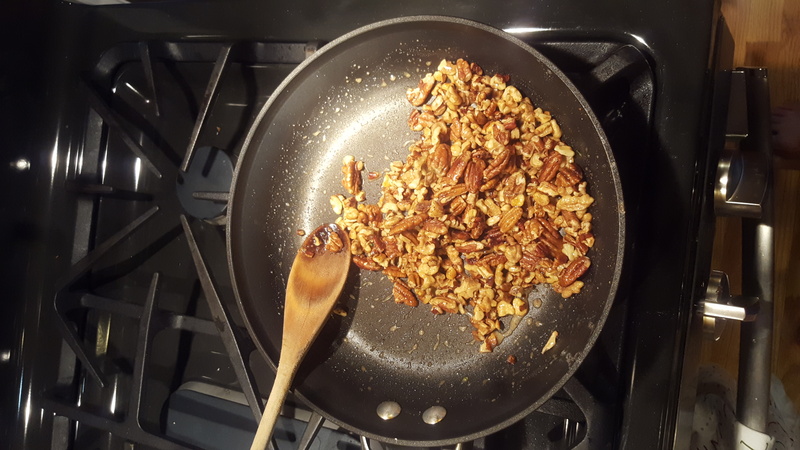 I decided to follow a recipe using almonds, butter, honey, chili powder and minced rosemary. While you’re rummaging through the cupboards looking for the ingredients, you probably don’t stop to consider the impact honey bees have on your recipe. Honey bees pollinate thirty percent of the world’s crops. Without the help of honey bees, this recipe would not be possible. The three main ingredients, almonds, rosemary, and honey, would not be available if it weren’t for our little pollinators. 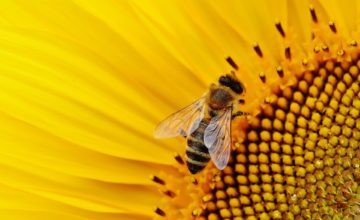 Honey bees fly from flower to flower pollinating the plants while gathering pollen and nectar. Back at their hive, the bees create honey using the goods collected from the flowers. It’s a mutualistic relationship between the plants and bees, one cannot survive without the other, and we humans reap the benefits. 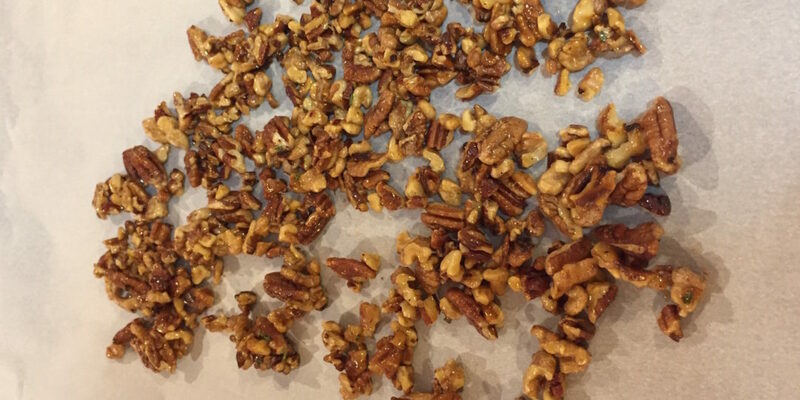 Thanks to the honey bees, this spiced nuts recipe is possible. 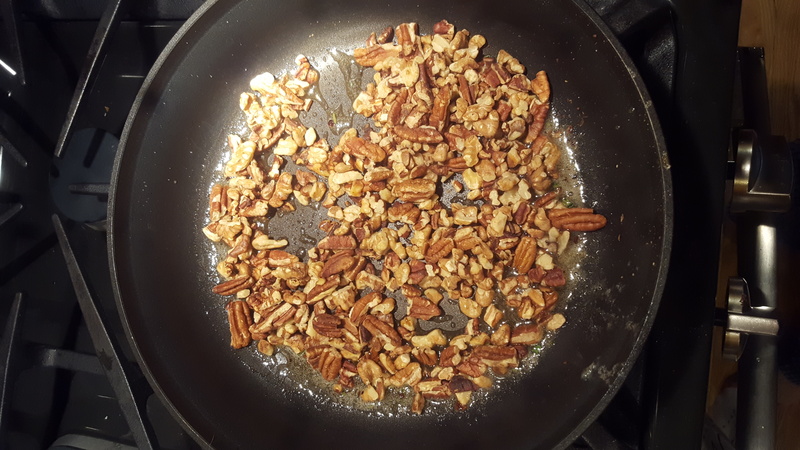 Cook the whole nuts in a pan over medium heat until they start browning and are fragrant, and then remove from heat. Place parchment paper on a cookie sheet and set aside for later. This is where the spiced nuts will cool at the end. In another pan over low heat add the butter and honey and stir the two together. Then add the rosemary and chili powder and turn the heat up slightly. ( if you decide to add the whiskey do so now). 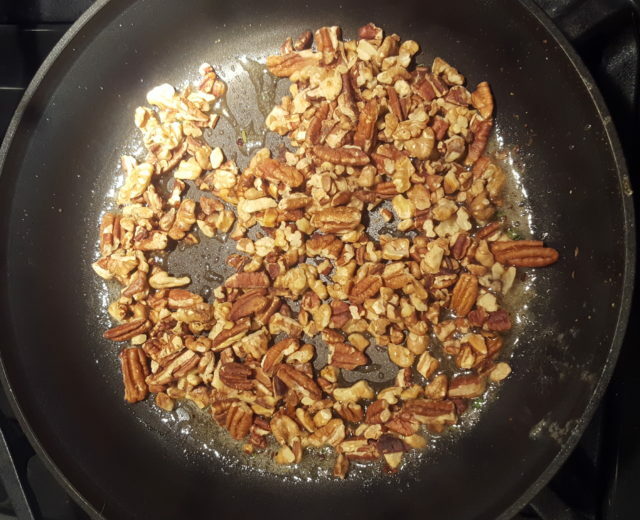 Once the mixture begins to gently bubble, add the nuts and stir until they are evenly coated in the sweet and sticky mixture. 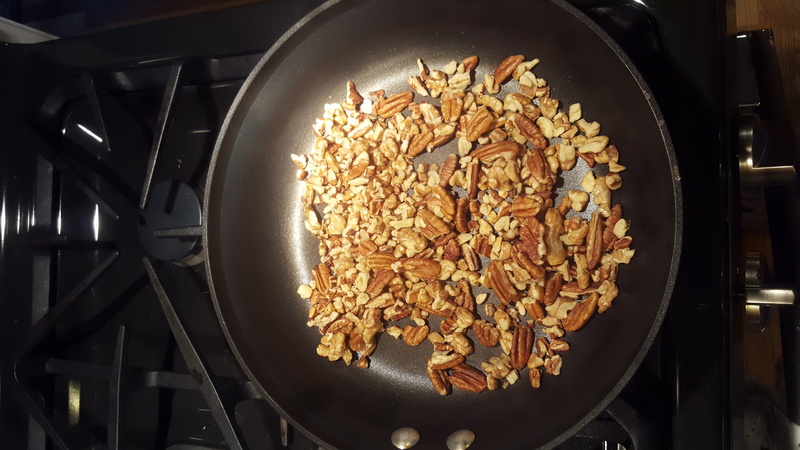 Then place the nuts on the parchment paper and spread them out, allowing them to cool and dry. This recipe was originally adapted from one found on food52.com. 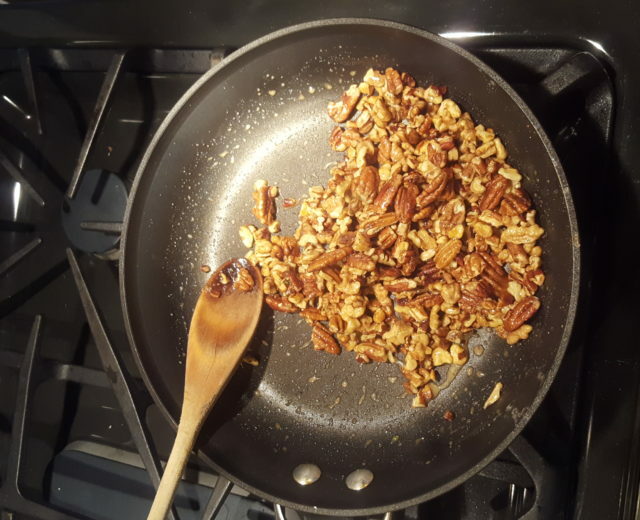 Check out the link for more seasonal spiced nut recipes and ideas! Ben Ruzzo is a first year beekeeper with The Best Bees Company. Ben works in the field as a part-time beekeeper, and contributes to research efforts at our affiliated 501(c)3 non-profit. He is a Environmental Science student at Northeastern University.